Gateway to the Sonoma Coast. The Historic Valley Ford Hotel built in 1864 and updated with modern amenities and luxury bedding at competitive rates. Hotel rooms feature high thread count Egyptian cotton sheets, fluffy pillows, cozy bathrobes and oversized bath towels to make you feel right at home. Our on-site restaurant and bar, Rocker Oysterfeller's Kitchen + Saloon serves up farm to table soul food and hand crafted cocktails Thursday through Sunday. Rent out the hotel for your next celebration. With seven guest rooms and an enormous multi-tiered back patio, the hotel is a perfect venue for your next wedding, birthday, reunion or corporate retreat. Built by the Rein family in 1864 to provide lodging for coastal travelers, the Valley Ford Hotel has seen stagecoaches, the North Pacific Coast Railroad and now Coast Highway One roll across it's doorstep. Situated one hour north of the Golden Gate Bridge, the inn is a convenient hub for coastal exploration. Surrounded by Tomales Bay, Sonoma Coast Wine Country, Bodega Bay, Point Reyes, Dillon Beach, the Russian River and Redwood Forests, a variety of day trips lie before you. Alternatively one could simply take in a book from one of the rocking chairs on the front porch and call it a day. Serving up "Southern Comfort" cuisine, Rockers celebrates the bounty of ingredients from our surrounding farms, dairies, ranches and fisheries in a fun and convivial atmosphere. Choose from the famous 1/2 lb. Stemple Creek Ranch Cheeseburgers to Free-Range Buttermilk Fried Chicken with Lagunitas Ale & Caraway Gravy or Flash Fried Dungeness Crab with Cajun Spices. 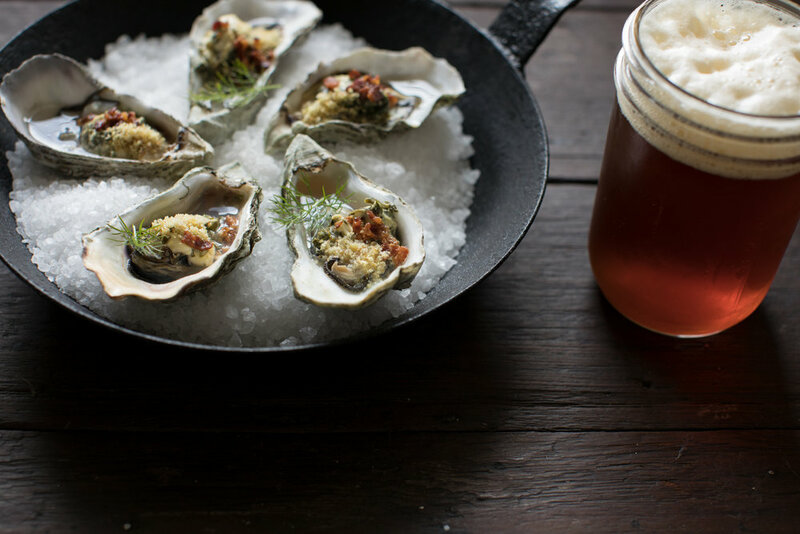 Don't miss our local Tomales Bay Oysters of course, either raw with Lemon-Honey-Jalapeno Mignonette or cooked up on the grill with your choice of three delicious preparations. Craft cocktails, local spirits, beer and wine flow from the bar, but no worries, your room is just upstairs. The perfect place to celebrate. The Valley Ford Hotel is ideal for groups of up to 120 people. Whether you're celebrating marriage, reuniting with family, having a corporate retreat or celebrating life, we have everything you need. Contact one of our event specialists at our catering company, Firefly Catering, to help you put together the perfect dinner and celebration for your group or family. Having an event elsewhere? We absolutely do that too. Call us at 707.876.1942 or email us at events@fireflycatering.net.